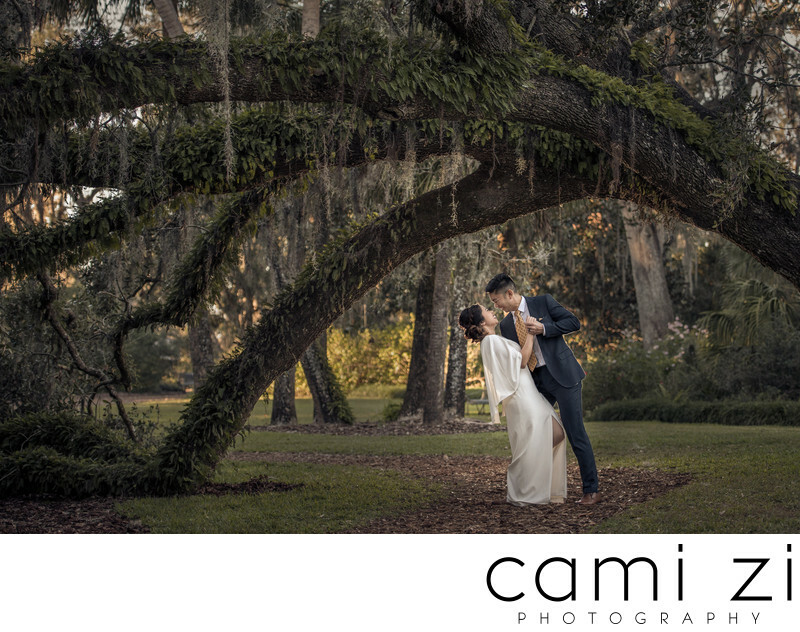 Hurricane Irma took down this stunning tree at BOK Tower Garden in Lake Wales, Florida creating the perfect photo op for Dennie and Basil. Nothing like nature's backdrop. Location: 1151 Tower Blvd, Lake Wales, FL 33853. Keywords: BOK Tower (3), Engagement Session (3).